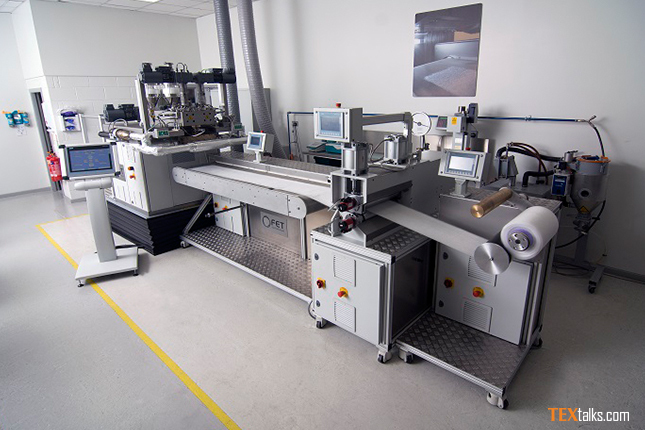 Fiber Extrusion Technology (FET), of Leeds, UK, underlined its growing profile in the industry at one of the main annual events on the calendar, the 4th International Conference on Nonwovens for High-performance Applications, which took place in Cannes, France, from 10-11 October 2018. This conference is a symposium designed to inform delegates and the industry in general about latest technical developments and opportunities offered from technical nonwovens for high-performance applications. R&D Manager Mark Smith gave a keynote presentation to the event’s delegates. FET specializes in the development, design and manufacture of processing equipment to produce technical fibers for biomedical and industrial applications. The R&D team at FET conducts processing trials and investigations to assist clients in their development of new polymers and fibrous products and have a very active program of in-house research projects to extend processing capabilities. With this background and expertise, Mark Smith was selected to present a technical paper entitled Melt Spun Nonwovens from Engineering Resins. This presentation examined a number of questions, such as how high melt viscosity polymers with high melting temperatures can be successfully melt spun to form nonwoven webs; what sorts of polymers can be processed using the methods and equipment developed; what are the unique properties and characteristics of the resulting fabrics; and what new opportunities such nonwovens offer.